Alex Garland’s an author who came to attention after the publication of his 1996 novel The Beach, which was adapted into a movie by Danny Boyle four years later. Garland then wrote a few screenplays for Boyle—28 Days Later (2002) and Sunshine (2007)—before going on to script Never Let Me Go (2011) and Dredd (2012). 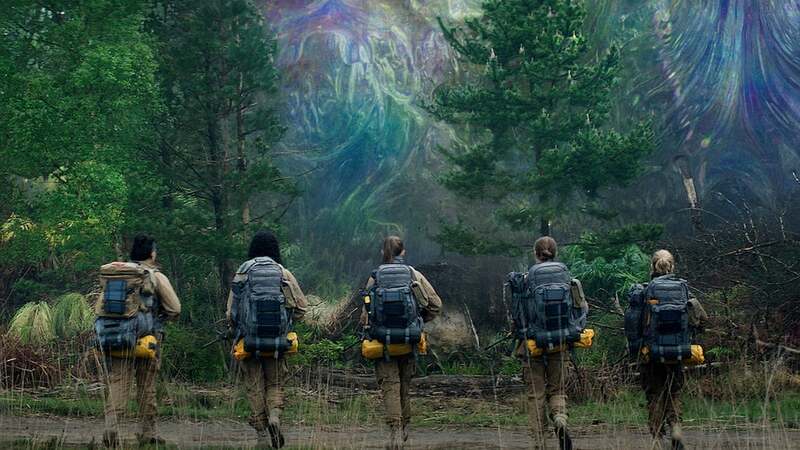 He then broke through as a director in his own right with sci-fi thriller Ex Machina (2015), and his eagerly awaited follow-up, Annihilation, adapts the first of the ‘Southern Reach’ trilogy of novels by Jeff VanderMeer. One thing’s for sure: he loves books and sci-fi. We open on biologist Lena (Natalie Portman) being debriefed by men in hazmat suits while under quarantine. 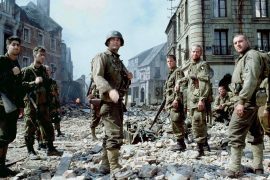 Flashbacks reveal how she came to be in this situation following the return of her husband Kane (Oscar Isaac), a Special Forces soldier who was missing and presumed dead. Initially overjoyed to have her husband back after months of grieving, Lena notices he’s distant and can’t account for his disappearance, before he starts vomiting blood and Lena’s brought into the confidence of psychologist Dr. Ventress (Jennifer Jason Leigh). 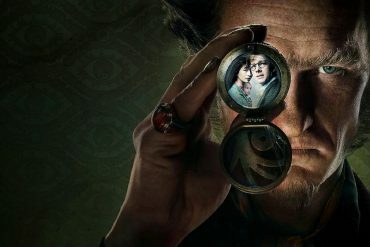 What follows is an intriguing expedition through an overgrown countryside being mutated by a strange force, creating genetic anomalies in the plants and bizarre crossbreeds of animals (like an alligator with shark’s teeth), where time itself doesn’t obey natural law and inexplicable gaps in memory occur. The latter’s a fun quirk that doesn’t go anywhere after being introduced very early when Lena awakens in tent, days into their trip, unaware of how she got there… perhaps because it would have confused matters too much? It’s unusual to have the lead characters all be women in a sci-fi adventure, which doesn’t seem to have been championed before release. 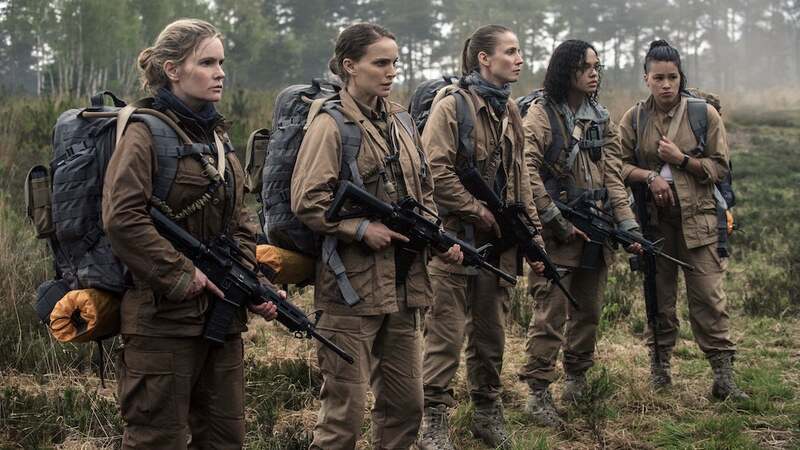 It certainly gives Annihilation a different feel than if a bunch of armed men were strolling through humid swampland; sweating, chewing gum, full of machismo and banter. There’s also a nice mix of ethnicities to the cast, although Garland was apparently unaware Lena and Ventress were revealed to be Asian and half-Native American in the book’s sequels — which Garland hasn’t read. Nevertheless, it remains a diverse mix of faces and there’s a refreshing vibe to following a team of professional women who aren’t trigger happy idiots. Personally, it didn’t take too long before I’d accurately theorised what’s happening inside the Shimmer, which the characters themselves reach halfway through the movie. 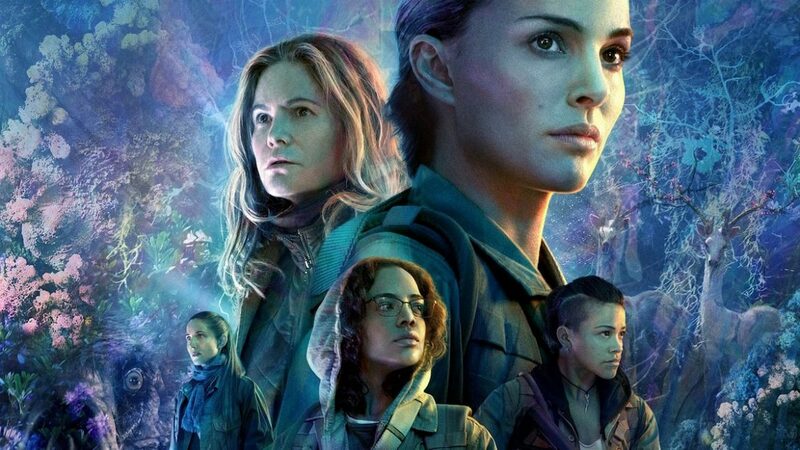 I can’t say Annihilation presented much of a compelling mystery, on that score, but it did weave in some fascinating themes. It would’ve helped if the film didn’t give us the sequence of a meteor strike explaining how the Shimmer came to exist, because you’re instantly led to imagine the area’s been infected by a contagion from outer space (or perhaps a ‘terraforming’ alien intelligence). And the story doesn’t pull any rugs out from under you. 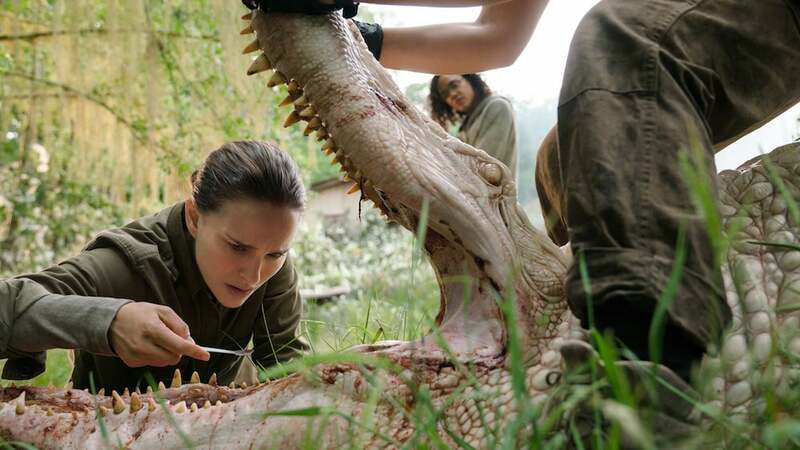 That said, Annihilation’s sustained queasy atmosphere, eerie visuals (particularly a half-skeletal bear mimicking the scream of a woman it ate whenever it “roars”), and Portman’s highly-strung performance, keep you under its spell. And once things get truly bizarre with Lena interacting with the root cause of everything inside a H.R Geiger-esque basement, Annihilation has really sunk its talons into your mind. There are clear influences here from Andrei Tarkovsky classics Solaris (1972) and Stalker (1979), together with a genuinely uncanny atmosphere that reminded me of Jonathan Glazer’s magnificent Under the Skin (2013) occasionally — largely due to the similar soundtrack. One might even describe it as an ecological Predator (1987), with elements of The Thing (1983) thrown in. It’s little wonder Annihilation underperformed at the US box office for Paramount, who knew this was a tough film to market in today’s pop culture landscape. They’d already decided to cut their losses and let Netflix distribute it internationally, giving it the added appeal of a theatrical movie without bombing in too many markets. And at least it’s a good “Netflix Original”, unlike Bright (2017), The Cloverfield Paradox (2018), and Mute (2018). But it’s also sad mid-budget sci-fi drama, written to be enjoyed by adults, aren’t cutting it at the multiplex nowadays. 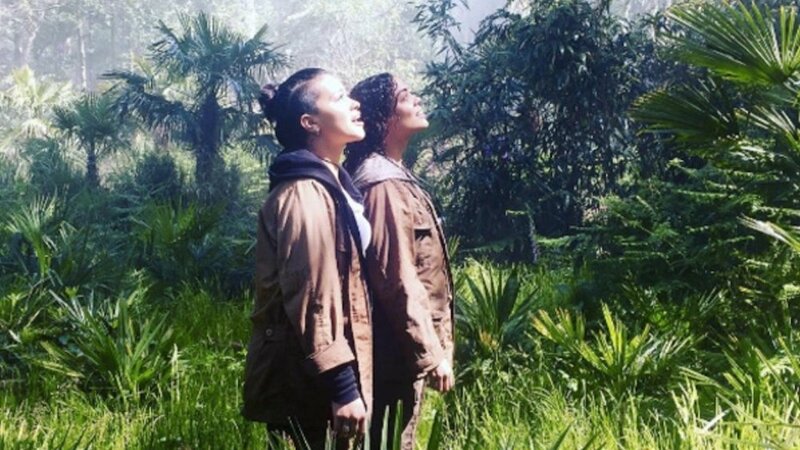 Annihilation isn’t the instant classic I was anticipating thanks to Ex Machina, however. Its greatest success lays with the creation of such a rich atmosphere and thick mood in beautiful surroundings, while the fundamental concept is an interesting amalgam of many ideas you’ve seen before. 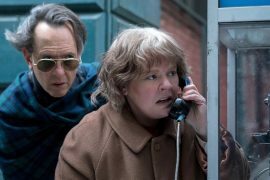 But the structure is also a little too lose for a movie pushing two hours, and there’s a feeling the journey isn’t entirely worth the investment of your time. Things are also kept quite vague by the end, but rather than spark discussion about its themes of biological immortality, human depression, and invasive cancer, the core of Annihilation seemed quite obvious and the rest just wilfully confusing. writer: Alex Garland (based on the novel by Jeff VanderMeer). starring: Natalie Portman, Jennifer Jason Leigh, Gina Rodriguez, Tessa Thompson, Tuva Novotny & Oscar Isaac.